This tutorial shows how to use the MIDI connectivity of our plugins within Pro Tools. 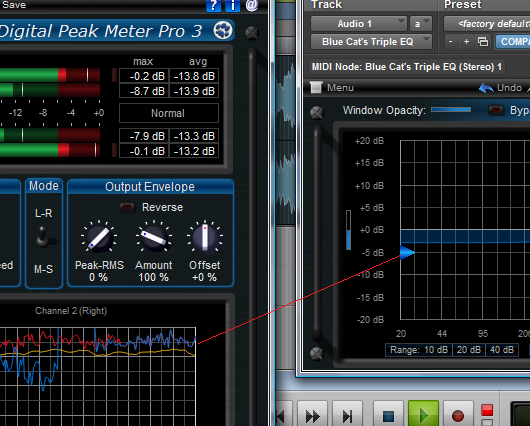 We use Blue Cat's DP Meter Pro plugin as an example, but you can use any other audio plugin which provides output parameters, such as our audio analysis plugins. These capabilities let you use any characteristic of a source audio signal to perform a side chain on any parameter of the destination track. 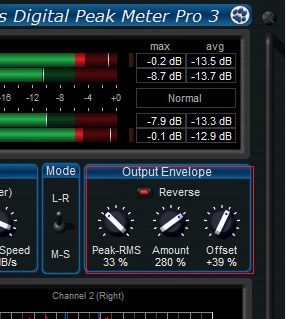 Our example shows how to perform side chain filtering with this system: the DP Meter Pro plugin is used to generate an envelope based on this source track amplitude to control the low pass filter gain of the Triple EQ free plugin on another track. 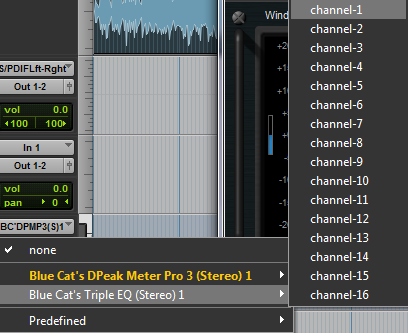 Our Pro Tools session is initially composed of two audio tracks: a source and destination track. 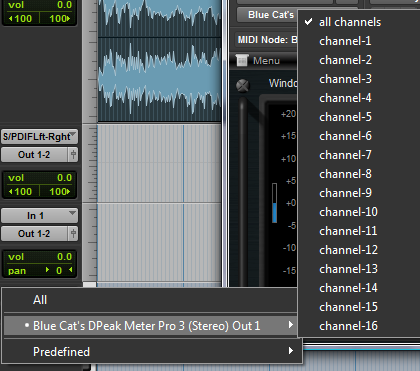 We then add a MIDI track to carry the MIDI side chain control data. 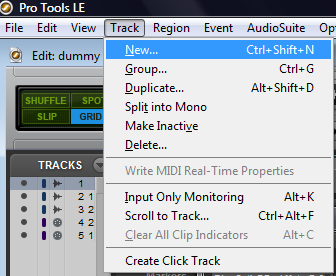 You have just learnt how to use the MIDI connectivity capabilities of our plugins in Pro Tools. 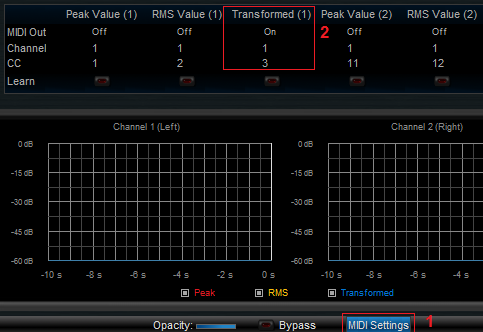 This simple scenario shows how to setup a MIDI control side chain between an amplitude follower and a low pass filter. You can now experiment with many other effect sources and destination parameters. You can also check our other tutorials for more ideas. This system also lets you control other plugins or external hardware, as long as they support MIDI input.